These are products that truly disappointed me with their performance and quality, I suppose we all have these. Each single product was payed with my money and they were not worth it. I purchased these products due to the hype or internet review or they were highly recommended by other friends. Obviously everyone has different opinions over a products and I respect that but sometimes is better to be subjective and think twice before you brag and highly recommend to someone else, a product with issues just because you got it for free. This is how I end up with several KIKO products that I simply could not use and they were destined to the trash bin. Few months ago I made a huge online purchase from KIKO (almost 150 euro), I got some eyeshadows, lipsticks, eye primer, a face make-up fixer spray, a jar of invisible powder and a green natural concealer. Since I work in beauty industry I realized that a lot of us are crazy about the Japanese beauty and skin care products, so today I will let you know some amazing benefits of rice bran oil. Often described as having flawless, radiant, dewy and youthful skin, Japanese women must do something differently from the rest of us, something else that allows such great preservation of beautiful, youthful skin. How do they maintain their porecelain-like skin well into their later years? Rice bran oil must be the answer. Rice bran powder, rice water, and rice bran oil are staples in the beauty arsenals of Japanese women. They credit rice bran derivatives with keeping their faces wrinkle free and smooth. 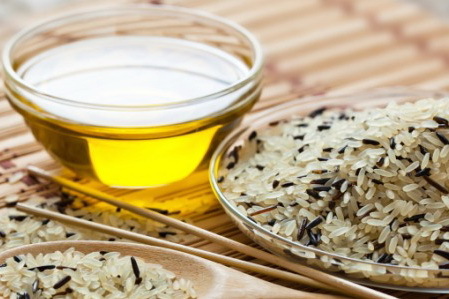 Rice bran oil is popular as a “healthy oil” in Japan but also in India.